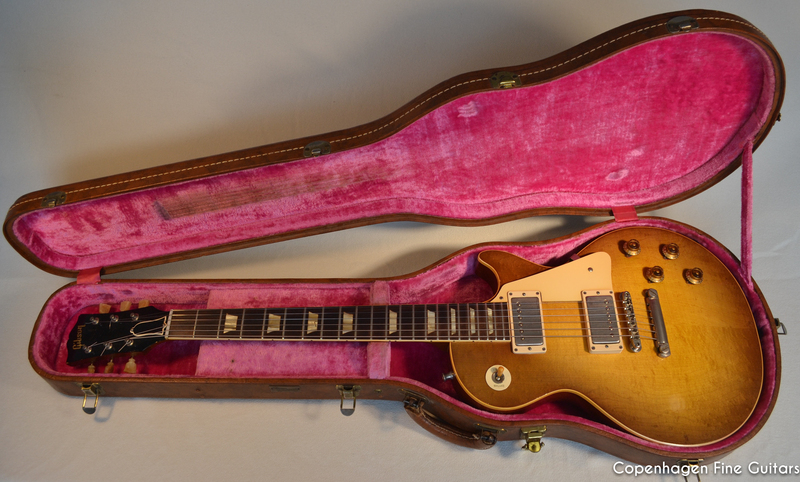 We are proud and happy to be able to advertise this fine 1959 Gibson Les Paul Standard. Beautiful plain top with some birds-eye. Two stickered PAF pickups. Original case. Comes with original hang tags, instructions, strap posts and bill of sale. Family owned guitar for 60 years. Non-circulated. Guitar was refretted in the 80´s and has a few small “belt rash” touch ups on the back. Comes with an original Gibson GA5 Skylark amps. Guitar will require a Cites document. Guitar is in online commission and is currently located with its seller in Canada.